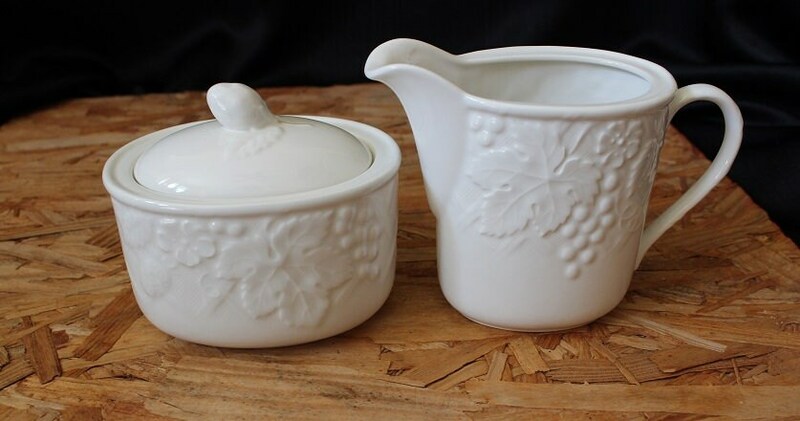 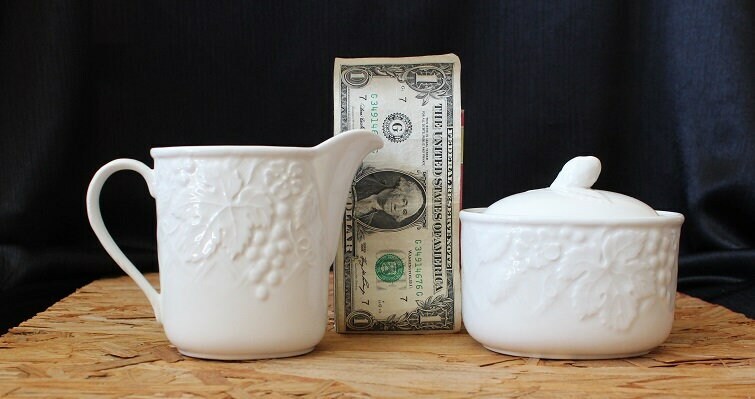 Wonderful Mikasa creamer and sugar bowl set! 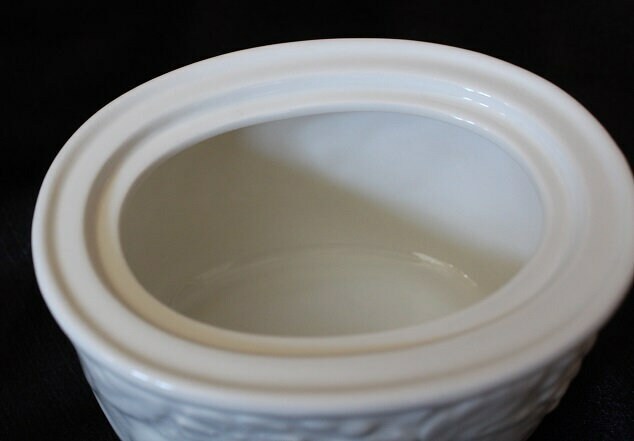 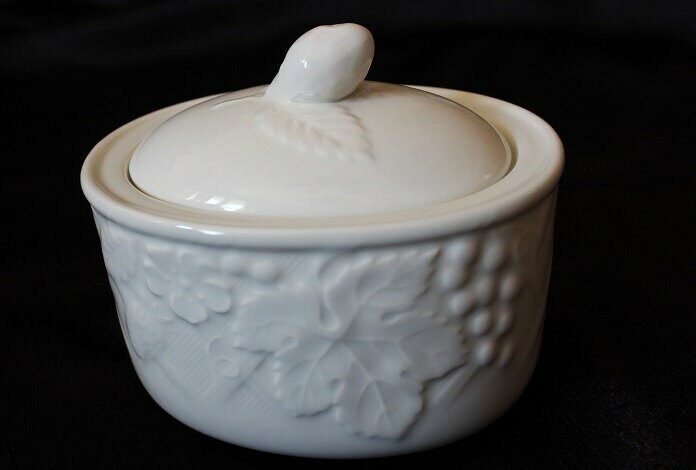 It is in an overall white color with a with a raised floral, fruit and lattice weave design centered on both sides. 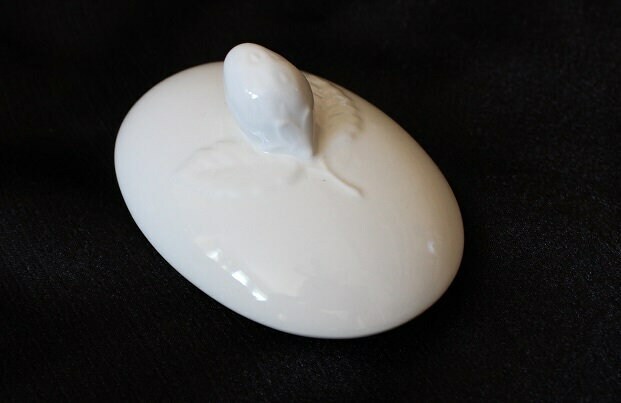 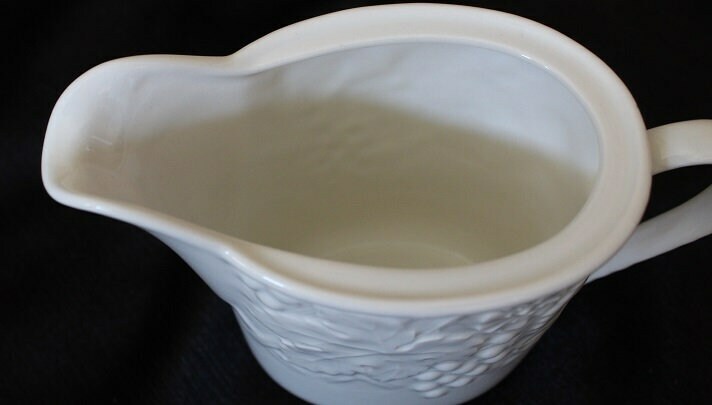 The sugar is an oval shape with a strawberry and leaf design handle. 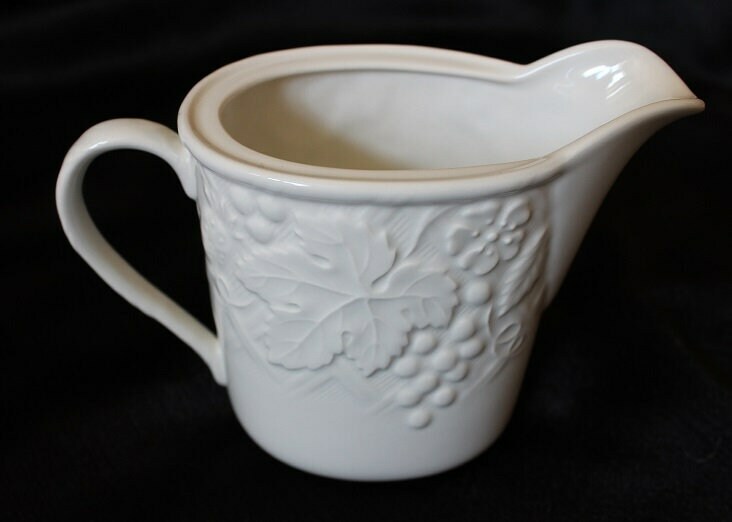 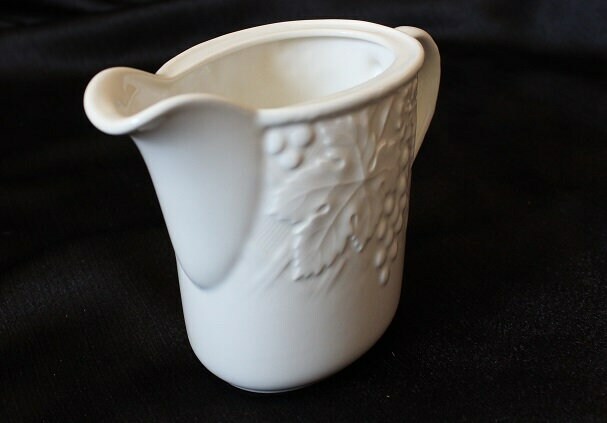 The creamer is a pitcher style. 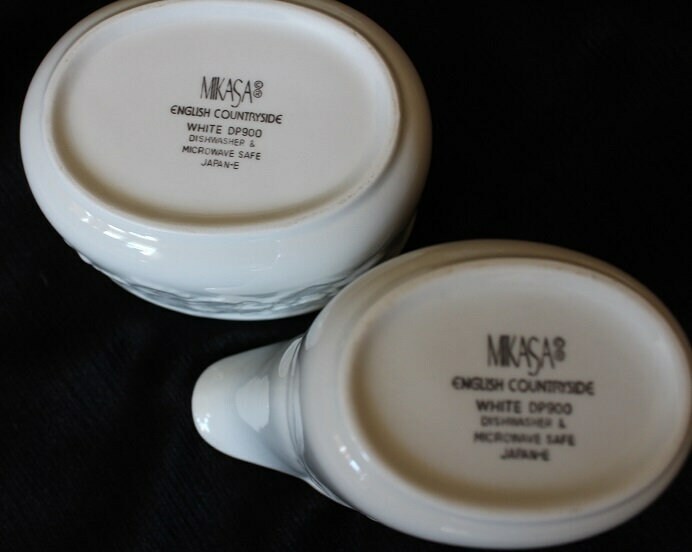 Both pieces are marked "Mikasa / English Countryside " on the bottom.